We knew going into Magento Imagine this year that it was going to be one for the books. With a record number of attendees, SD featured on multiple panels and speaking sessions, and our very own Phillip Jackson as MC we knew we had to make this our best Imagine to date and we have to say, Imagine did not disappoint this year. Amazing sessions, Jamie Foxx as the Marquee Keynote Speaker (if free comedy shows are your thing, they’re ours) and the cherry on top of the sundae? SD taking home the Magento Shooting Star Award! 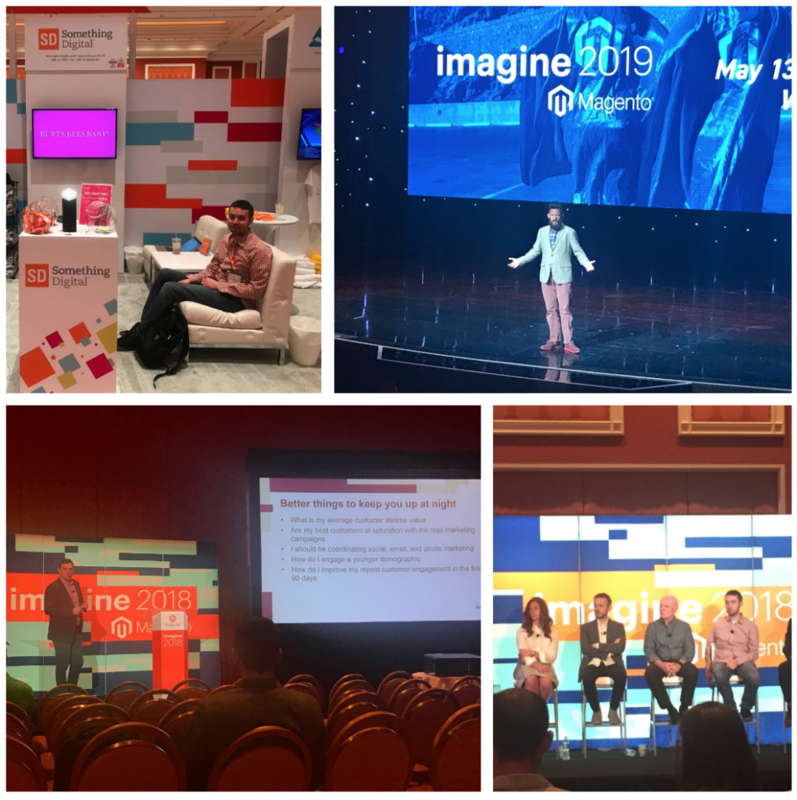 Imagine was packed this year with a record number of merchant attendees and Magento didn’t disappoint with the content they provided both merchants and vendors. Check out our top three takeaways from Magento Imagine 2018. 1. Magento Cloud is here to stay. If you’re a system integrator (SI) that implemented Cloud when it was first released you may remember some road bumps along the way. At Imagine this year there were an abundance of sessions with both merchants and SIs talking about their experience with Magento Cloud and how they can make it better. 2. Magento is constantly upgrading their platform. Magento made quite a few announcements during Imagine about upcoming features and functionality that will be introduced into the platform. Not to mention Magento 2.3. 3. Magento B2B is going to be big. There was a lot of talk about B2B at Imagine this year and even more B2B merchants in attendance. There was no shortage of sessions about B2B and how merchants can utilize the Magento B2B platform to sell directly to their customers. We can’t wait until Magento Imagine 2019 (May 13-15)! See you in 2019 Vegas!